A Discussion with Kids - "Who is a Worse Father, Goku or Vegeta?" Dragon Ball Z, despite its age, is still very popular with children today, who are still enjoying the card games, anime re-runs, and various other DBZ products. "While both Goku and Vegeta (main characters from DBZ) are great warriors, how do they fare as fathers?" Excite Bit asks. "All they ever talk about are battles." Goku's wife Chi-Chi complains in volume 2 of the manga. "Goku, how can you take care of Gohan (Goku's son) without working? You haven't made a single cent since the day we married." However, when Goku tells Chi-Chi that he wants to participate in the Tenkaichi Martial Arts Tournament, Chi-Chi gives him her enormous support after she hears about the price money involved: "Great! This is a gift from the gods. I was worried about papa's money running out." (Here "papa" is referring to Gyu-Mao (Ox-King), Chichi's father)... They are living on Gyu-Mao (Ox-King)'s money! "All he ever says is 'training!'" and training he does, even during time of peace. When Gohan visits Bulma (Vegeta's wife), she complains, "He is just like your father! Saiyans don't ever work!" When Excite Bit asked the kids: "Who do you think is a better father?" The kids answered "Goku" without hesitation. The reason? Because Goku is "Awesome!" and "Strong!" When asked why they don't like Vegeta, the reply was: "He is sly," "He gets angry a lot," "He is terrible," and "His forehead is bald." ...Is that a fair reason? Kids also don't like Kuririn because "He is bald." At this point the interviewer protested: "Don't say like that! Isn't Kuririn a hero despite his being an ordinary human? He's not very strong physically compared to others, but he's got a good brain. Besides, Tenshinhan and Kame-Sennin (Master Roshi) were bald too!" What about the mothers of these children? The opinions of the children's mothers were: "We don't like either Goku or Vegeta, but we can't help but laugh at how Goku always loses to his wife." The "worse father" should be Goku. For one, Vegeta doesn't need to work because his wife is a millionaire. The most important reason, however, is that Vegeta is living with his family, whereas Goku spends most of his time being "dead," leaving behind his child. If Goku is not "dead," he tends to stay away from home in order to train. Also, during the end of the Cell arc, when Cell kills Trunks (Vegeta's son), Vegeta, showing his fatherly affection, loses his calm and confronts Cell. The best father, however, should be Piccolo. Piccolo trained the son of another guy (Goku's son Gohan) with care and affection. During the scene when Cell is about to kill Gohan, Piccolo tells Goku : "Do you know what Gohan is thinking right now? He is thinking why his dad isn't coming to save him" and "I'll be killed, but I have to go and save him!" Piccolo has complete "father-ship" over Gohan. Unfortunately, kids don't like Piccolo: "I hate his green face." Is that really a fair reason? Submitted by Anonymous (not verified) on Sun, 2006-11-19 16:38. "Is that a fair reason?" - That's so funny. Submitted by Martial Arts (not verified) on Mon, 2007-06-11 05:44. Submitted by Anonymous (not verified) on Fri, 2008-02-29 19:23. Submitted by no fee balance transfers (not verified) on Wed, 2008-05-21 18:59. Hey, DBZ rule although i can't remember the name of it's main hero. Submitted by NARUHINA RULES!! 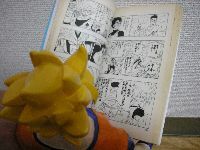 (not verified) on Tue, 2008-06-03 16:33.
u mean goku, how can u like dbz and not remember his name! Submitted by NARUHINA RULES!! (not verified) on Tue, 2008-06-03 16:35.